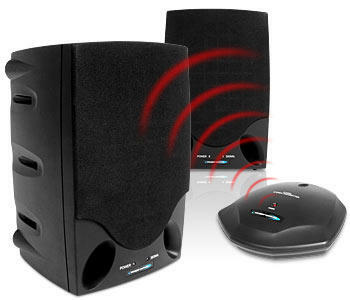 Are Wireless Speakers the Future? Cables. Proof positive of the existence of Loki – no matter how careful you are, they always seem to get tangled. 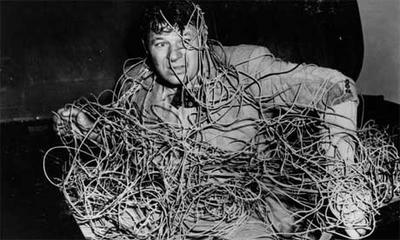 How many hours have I spent straightening out the spaghetti mess of wires at the back of a hifi unit only to return seemingly moments later to find that the jumbled mess has returned? Strange how those little irritations soon become major issues. And when surround sound home theater systems started appearing a few years back, it seemed that those years spent learning how to tie and untie knots in the scouts could finally be put to good use. Happily, rescue was at hand in the form of a couple of old technologies given new life. My first glorious encounter with wireless device connectivity was with a Logitech keyboard and mouse for my computer. A much more liberating experience than simply moving from PS/2 wired connection to USB connection, most especially appreciated with the mouse. 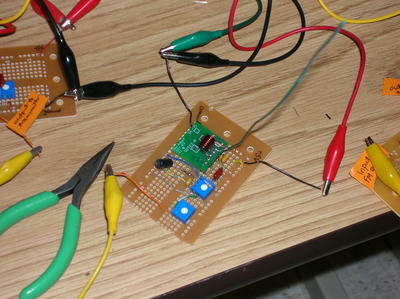 There were still wires attached to the computer of course, but instead of harnessing the input peripherals they led to a relatively small RF receiver. A transmitter housed inside the keyboard and mouse sent electronic signals to the receiver which the computer translated into key presses or cursor movement. Marvelous! receiving over radio waves is undoubtedly the most adaptable and customizable option. Despite the obvious benefits of (almost) cable-free audio enjoyment, signal interference is an issue and can lead to crackles, hisses or worse suddenly appearing while otherwise enjoying your favorite Beethoven symphony. I remember one of my earlier FM transmitters picking up taxi or police conversations as they sped by. Although devices have used a variety of frequency ranges to transmit audio signals to try and maximize signal purity, 900Mhz tended to be the most common. More recently, systems have adopted the same range as found in wireless routers. Audio clarity has generally improved as a result but there are some annoying limitations (such as distance limits between transmit and receive units). While some audiophiles will wax lyrically about the virtues of wired audio reproduction for some time to come and Develo extolls the virtues of using the existing household electrical wiring to transmit signals between amps/devices and speakers, wireless technology is constantly improving and high end devices from companies like Sonos, Sonneteer and Olive, together with more wallet-friendly offerings from the likes of Creative, Philips, Samsung and JVC, are helping to ensure that digital wireless music streaming is reaching more and more music lovers. Personally I look forward to the day when the ugly mess of wires and cables disappears altogether but am very interested in your thoughts. Have you embraced a wireless audio future or is cable clutter something you can happily live with for some time to come?